Sometimes it seems as if Americans have forgotten the importance of knowing their geography. The New York Times recently reported that many questions about New York City’s geography were eliminated—hacked, really—from the new taxi driver test the city administers. Why? Technology, in the form of GPS, can now route cabs where they need to go. Bell used bright colors to make her Global Poverty data stand out. U.S. News & World Report then ran an article headlined “U.S. Students Are Really Bad at Geography.” The article cited an October 2015 report issued by the United States Government Accountability Office (GAO) that painted a glum picture of geographic literacy among eighth graders. The report, entitled Most Eighth Grade Students Are Not Proficient in Geography, said that in 2014, almost 75 percent of eighth graders scored at levels below proficient in geography, a statistic that has been generally unchanged since 1994. But all’s not lost. Despite the stories and statistics, geography—even as a profession—is undergoing a renaissance. A new generation of geographers—working everywhere from government agencies to private companies—are pushing creative and technological boundaries as they analyze and synthesize information, tell stories with maps, and ignite change. 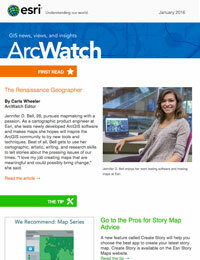 One of these new geographers is Jennifer D. Bell, a 26-year-old cartographic product engineer at Esri. 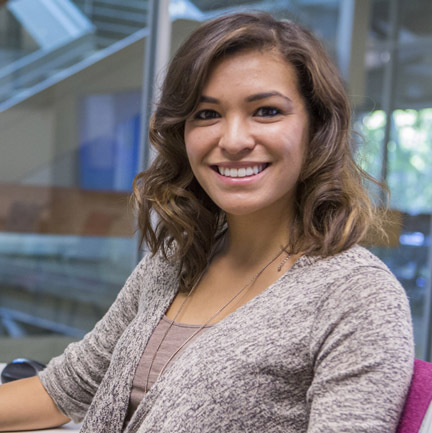 Hired in 2014 on the heels of successful summer internships at Esri and the National Aeronautics and Space Administration (NASA), Bell uses the geographic information system (GIS) software that Esri develops to create beautiful web maps in bold colors that please the eye and tell a story. She’s a geographer, cartographer, artist, scientist, and storyteller, wrapped up into one. 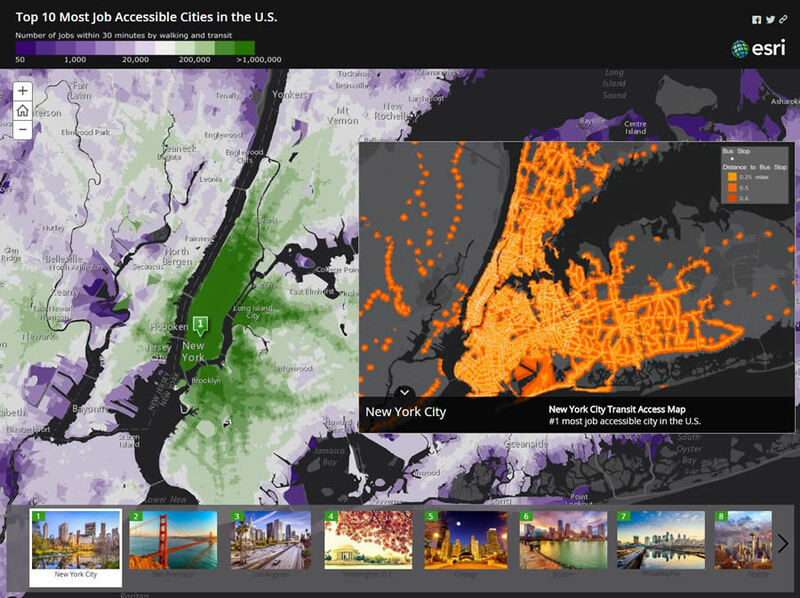 The colors in the photographs complement the colors in the job accessibility map. “I love my job, creating maps that are meaningful and could possibly bring change,” Bell said. 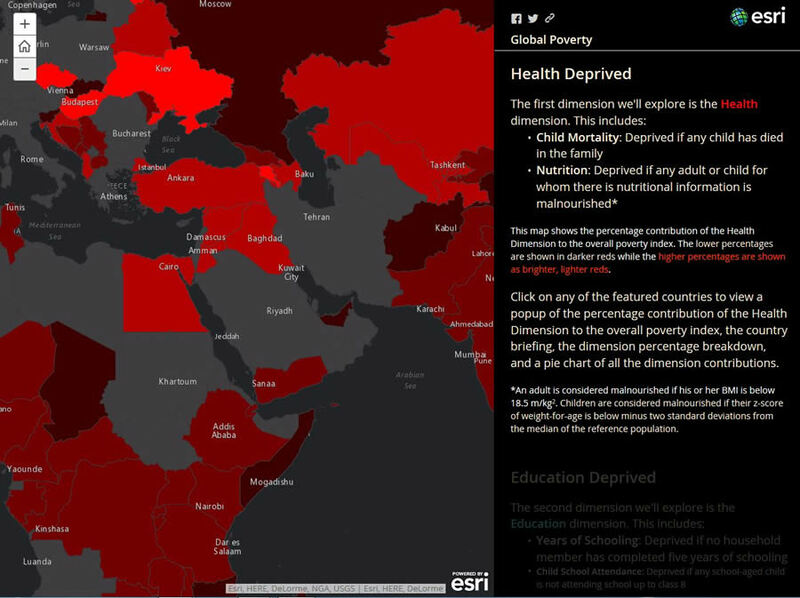 Thousands of people see her maps at the Esri website, including one called Global Poverty which has been viewed more than 12,000 times. It’s one of her favorites. Using a combination of text; photographs; and a palette of purples, reds, greens, and blues to represent information on the maps, Bell created a compelling story about countries around the world where people lack education, health care, and other basic services such as electricity and safe drinking water. “It’s showing that poverty is not only about how much money you make,” Bell said. Bell works on the ArcGIS Online content team, where she specializes in urban systems and transportation. Part of her job, she says, is to be on the cutting edge, testing new Esri technology and suggesting improvements. 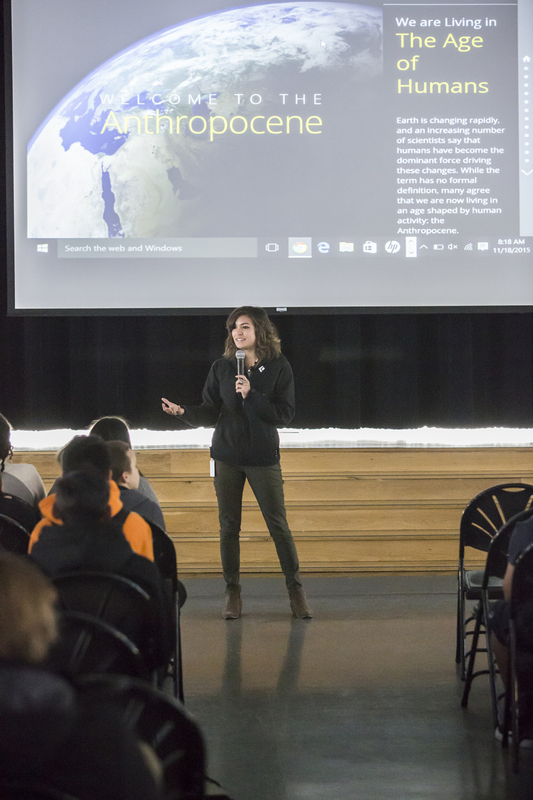 “The other side of my job is to show people what they can do with our software by creating interesting content using maps, apps, and videos,” she said. Foreshadowing? The Bells decorated the wall of their home in Saudi Arabia with a world map. Here they celebrate their daughter Jennifer's first birthday. What message does Bell want to get across to mapmakers? That there’s art in the word cartography and that the wise use of color and other design elements—plus developing a clear rather than complicated story—produces a much better map. Mapmakers need to think like the audience, who might not understand scientific jargon. Bell has created transit accessibility maps and worked on the Urban Observatory, an online mapping application that lets people compare and contrast cities by using mapped data on everything from youth population and housing density to flood zones and traffic flow. For Esri’s Maps We Love web page, she created the stunning map, Top 10 Most Job Accessible Cities in the U.S. She again dipped into her bright color palette to illustrate the number of jobs within a half hour of any location for people using public transit and/or walking. Topping the list of job accessible cities were New York, New York, and San Francisco and Los Angeles, California. Empathetic, curious, and bright, Bell has a special interest in issues such as social inequality; poverty; climate change; and food, transportation, and health care accessibility. Like many geographers of her generation, she’s a risk taker at work. That’s what makes her one of the new renaissance geographers. They know how to use GIS software to analyze data and create maps, but they also strive to make their maps understandable and meaningful to a wide audience by thoroughly researching the data; experimenting with new ways to present it; and then tapping into strong writing, design, and other multimedia skills to tell a clear, concise story about what the data reveals. Herries says he likes the fact that Bell and many other young geographers today want to contribute to the body of knowledge in their field and experiment with and test their ideas. Esri is the ideal place to do it, he said. Bell showed the students how maps can tell stories about a wide variety of topics. For Bell, the world has always been interconnected. She was born in Saudi Arabia and traveled extensively as a child. 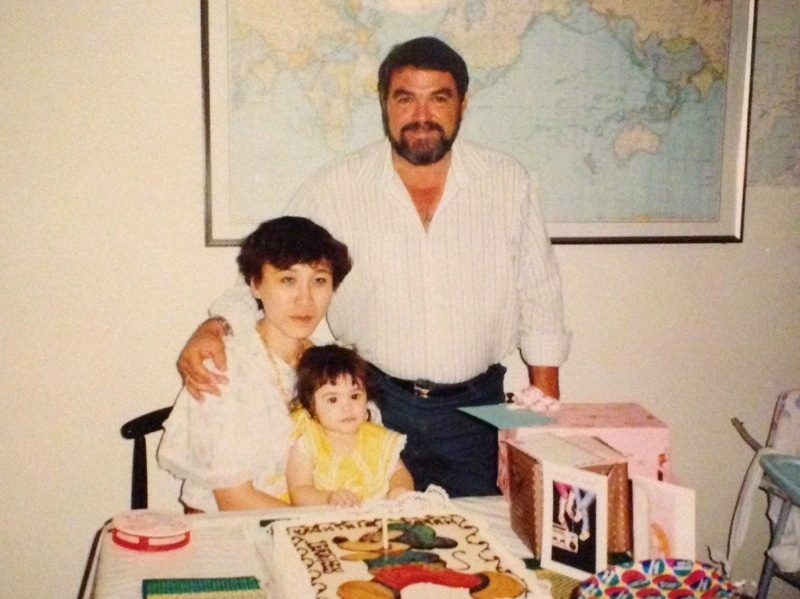 Her father, Charles, was born and raised in Louisiana, and her mother, Kannika, was from Thailand. Charles served in the US Navy, later ran marathons in places like Algeria, and ended up in Saudi Arabia working as a manager for the Saudi Aramco oil company. He and Kannika met during a trip he took to Thailand. Bell’s father died when she was a freshman in high school, but she feels his spirit lives on in her life. “His teaching and personality I still see in myself,” she said. Bell chats with the students about maps. Other than using maps on vacation, geography was not a subject Bell thought about while growing up in the Atlanta area. She entered the University of Georgia undecided on a major, though she toyed with becoming an architect or a psychologist. She happened to take an introductory geography course, which turned her on to a class in aerial imagery. The class studied land change over time, including seeing how much farmland has been lost to development over the years. That’s when a bell went off. Though she had no idea what type of jobs were out there for a geography major, Bell took a leap of faith. “I was always taught: do something you love, and the job will come,” she said. 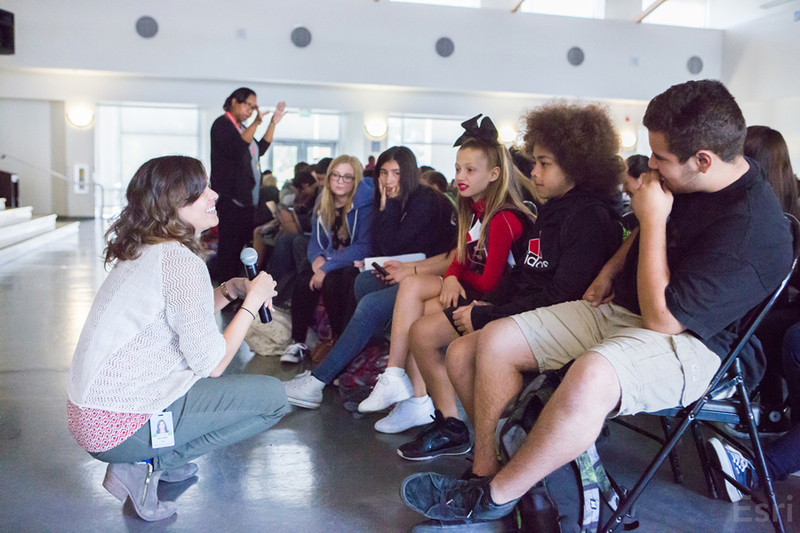 Recently, Bell took a few hours off work at Esri to visit Central Middle School in Riverside, California, where she hopes to raise the level of geographic proficiency among the seventh and eighth graders. 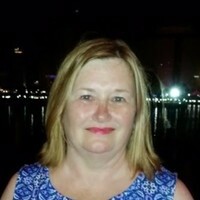 She taught several teachers how they can use ArcGIS Online accounts that Esri offers at no cost to all K–12 schools in the United States, which will give students the ability to map everything from earthquakes to animal migration. She also gave the teachers copies of The ArcGIS Book, published by Esri, which includes GIS concepts and lessons. Esri plans to publish an instructor’s guide to The ArcGIS Book for K–12 teachers later this year. 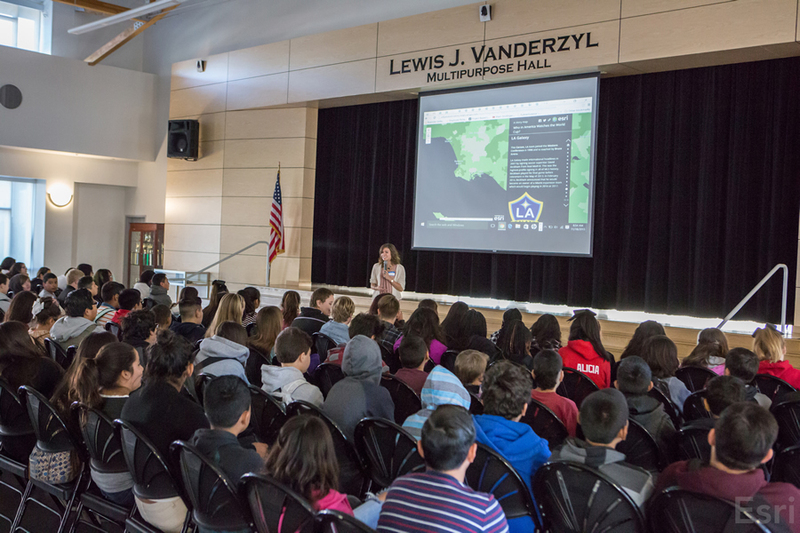 On GIS Day, November 18, 2015, Bell spoke to about 500 children at the school and showed them examples of how maps can be turned into stories about anything from bees to baseball stadiums. And she proved to the kids that no matter what career path they take in life, maps will always come in handy. “What do you want to be when you grow up?” Bell asked the students. “A lawyer,” said a third student.